We accept payment in cash, store credit (earned from a trade-ins) and Michigan checks (with photo id, signer must be present). While we accept Mastercard, Visa and Discover card, we encourage the use of cash, check or store credit because each transaction costs us 2.25 percent of each sale. We accept trade-in materials from residential, commercial and institutional sites. In return for trade-in materials, customers receive store credit (valid for two years). Trade-in building materials must be clean (i.e., minimal damage and no missing pieces), in-demand and not in surplus. Odom RE-USE reserves the right to refuse materials that do not meet its criteria. Trade credits are generally 25 percent of the estimated resale value of the item. We accept trade-in materials at both our Traverse City and Grand Rapids store up until 30 minutes prior to closing. We pay cash for select high-demand items (e.g., complete cabinets sets, French doors, clawfoot tubs, architectural pieces with rare finishes, etc.). Call your local Odom RE-USE store for details. We will pick-up your clean, trade-in building materials. To cover the pick-up service expense, store credit issued for pick-up materials will be less than credit earned for a store drop-off. Call your local Odom RE-USE store for details. We provide consulting on a variety of topics including: retail operations, start-up feasibility, cash flow planning, waste and inventory management, effective storage and handling, pricing strategies, store policies and much more. Call your local Odom RE-USE store for details. 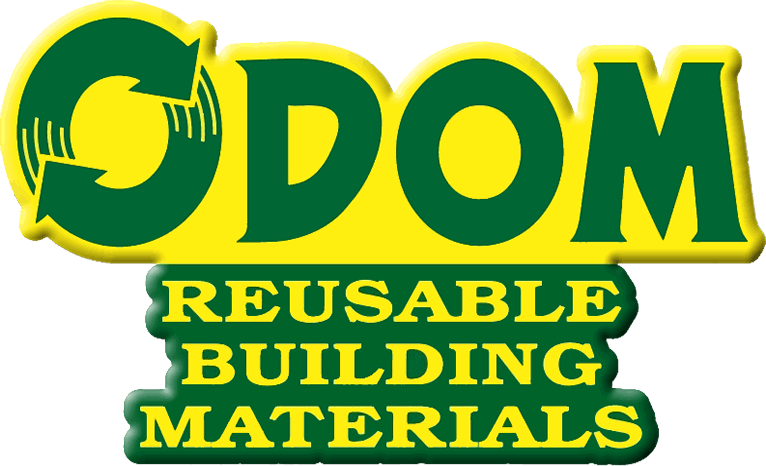 Odom's is a full service salvage, deconstruction and retail building materials operation in Northern Michigan. We are dedicated to RE-USE and strive to be a model for the building industry. Know of something going down? Call us and earn trade credits!